Get Vivo v9 Pro at an effective price of ₹17,990 + Get 10% Extra Discount. Get 10% instant Discount on Minimum Cart value of Rs.2000. Get Maximum Discount up to Rs.1500. 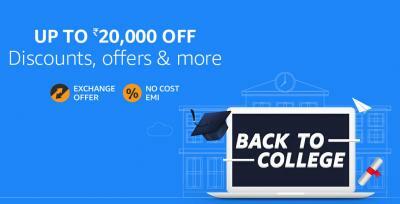 This offer is applicable on HDFC Debit/Credit Cards & EMI. Offer is valid till 5th Nov.